First I will start with the STD (standard duty) a-arms, they were designed for the weekend worrier who worked hard all week and wants to play hard on the weekends with his Toyota. The JBA UCAs will give you 1" extra down travel on the front suspension with more ball joint travel and strut spring clearance. The JBA STD A-arm tubing is 5/32" wall and 1" dia. with a Moog style K6292 ball joint. On the JBA HD (heavy duty) A-arms are thicker tubing, with 3/16" wall and 1-5/16" dia with 11ga guests on the bushing bongs. The HD a-arms are for more extreme offroad abuse like offroad racing, rock crawling and dune jumping. 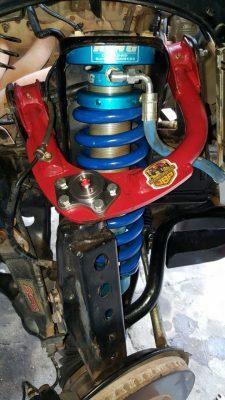 Both STD & HD will work with the Fox extended travel coilovers and the JBA Coilovers. If you jump your Toyota you need the HD a-arms, If your steering knuckle is reinforced with a weld on gusset you need the HD a-arms. JBA UCAs give you MORE for your money!! In conclusion the JBA STD a-arms are for a daily driver/weekend worrier the JBA HD a-arms are for extreme offroad use. The JBA Upper A-Arms, upper control arms (UCAs) were designed for your lifted Toyota Tacoma "05" Plus, 4Runner "03" Plus, FJ Cruisers "07" Plus and will directly replace your stock upper a-arms. 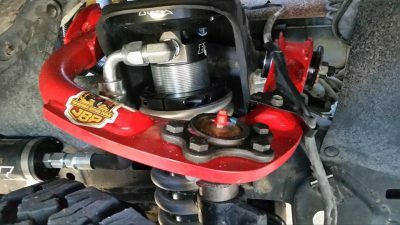 The original equipment a-arm (UCAs) hits the spring, on Toyota Tacoma with a lift kit. The JBA A-Arms are compatible with all the lift kits on the market today! These A-Arms (UCAs) were designed to fit Toyota Tacoma, 4Runner, FJ. 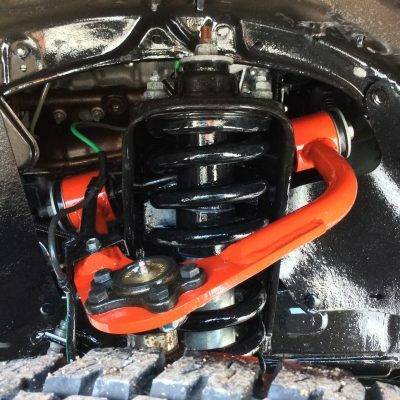 Made of heavy duty tubing, red powder coat finish, with replaceable ball joints. The A arms (UCAs) are assembled and ready to bolt onto your Toyota Tacoma, 4Runner, or FJ. Sold as a set, 1 left & 1 right UCA. Both HD and STD UCAs will give you more caster! do you have full set ? We try to keep both HD and STD a-arms in stock at all times, we try to ship a-arm within 24 hours of receiving the order. Do you ship to nova scotica, if so would you know the shipping cost postal code is b0w2s0. Yes, we do via DHL. 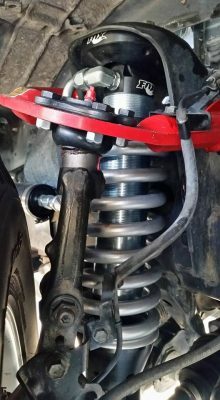 Are the HD upper control arms available for 95-04 Toyota Tacoma? Not at this time, we will be working on these soon. I am confused... Why do the ball joints look different in different photos? Some look like dark metal and some look like shiny metal. 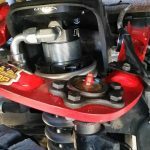 What ball joints come with the std arms and what come with the hd arms? Why are there 2 different replacement ball joints? What is a moog ball joint and how dose that differ from the other ball joint other then price? Please answer all questions. Thanks. In 2007 we started making UCAs using Moog ball joints. At one time Moog was the go to for aftermarket replacement parts. Moog is now importing a lot of there product lines and the quality has drop below our JBA standards. We originally introduced the Toyota UCAs with the dark metal Moog ball joints and now have made the switch to our own JBA shiny ball joints. 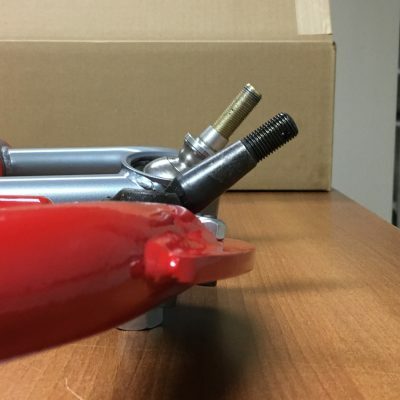 All the Toyota a-arms have the JBA ball joint in them when we ship the orders. Some of the pictures on our web site are out of date with the old Moog joints. We copied the hole pattern and the fitment of the Moog K6292 but we gave it 90 degrees range of motion for the offroad applications and we make them in Pennsylvanian. We are proud to have our a-arms made in the USA. You can buy a Moog K6296 at any auto parts store in the US in an emergency situation and get back on the trails. The price difference is Moog is making hundreds of thousands of these ball joints overseas and we are making 400 a month. Excellent! Thanks for the clarification. Do both STD and HD give you 90 degrees? Yes, they both do have the same range. 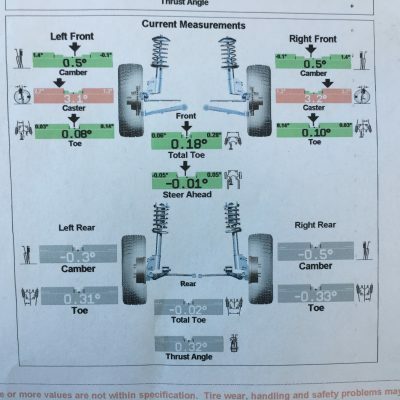 Also regarding lower control arms and cam bolts on 05-11 Tacoma's do you guys have any recommendation, experience? Was looking at the moog but as you said on the website their quality is not what it used to be, I've checked out total chaos etc, im looking for something closer to OE rather than high performance lca. I do not ave anything at this time. I read in you description that you will need different wheels if running 16" rims and 285 tires. Will the STD High Caster JBA UCA's work with a Lifted 2018 TRD Pro with factory 17"x8" wheels and 285/70/17 tires? That is a 32.7" dia tire, I thing you will need wheel spacers assuming the wheel back space is 5.625"
Same question on the STD model with 18x8.5 +10mm offset and 275/70/R18 (33.2") tires, 2003 TR4. According to my chart 8.5" +10mm is a 5.25" back space, you will need a 1.25" wheel spacer to get a 4" back space to run 33" and bigger tires.